In the summer of 2018, the University of Missouri campus and Health System completed a multi-year migration to a new voice communications infrastructure to replace the previous, outdated one. This new system integrates desk and mobile phones with compatible applications specifically designed to help university employees communicate more effectively. As part of this project, most phones have been replaced with new Cisco IP phones that work with software to provide enhanced communications options for MU faculty and staff. However, your work telephone number isn’t tied to a particular phone jack in your workspace. Your phone number goes with you, enabling you to be more flexible, mobile, and accessible. Using mobile apps, you will be able to place and answer business phone calls from mobile devices as well as participate in audio and video conference activities from wherever you have a compatible device and a network connection. 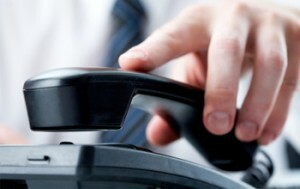 For Contact Center pricing, see Contact Center Services. Provisioning charges of $15 to change ownership of existing phone line, change line appearances on a phone, and reset voicemail, if applicable, will apply. If you will need changes to ten or more lines, standard labor charges of $63 per hour, with a one-hour minimum, will apply instead. Go to doitservices.missouri.edu to request new and change or cancel existing Cisco phone service. Login to the self-service portal with your University user id and password, select Service Catalog, and search for University Phone Service. Use our web-based portal to monitor and manage your UC applications.